ABSTRACT: This paper is to present the findings employing the philosophical discourse of existentialism in constructing an architectural theory in practice. Foremost, the definition of theory and practice in architecture has been outlined and a brief analysis of the philosophical notion of existentialism has been discussed in the context of Jungian psychoanalysis determination into the idea of the Ego, Persona and the Self. The discourse took shape in analyzing the existential metaphysical condition of the self and the persona, classifiable as noia, end-noia and para-noia. Such narration further take shape as a production model annexed to the modus operandi of Dialogue-Do-Document. KEYWORDS: Existentialism, Production Model, Philosophical Discourse, Dialogue-Do-Document, Noia-Paranoia-Endnoia. While contemplating if there is a bridge between theory and the practice of architecture? What makes an architecture theory? What makes an architecture practice? 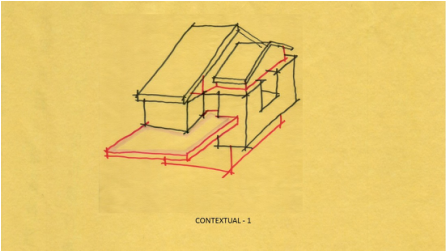 Could there be a seamless link between these dichotomies, through a philosophical discourse, between the architect and its client, in constructing a design brief? Theories – Architectural theory is the act of thinking, discussing, and writing about architecture[i]. It is the foundation stone of building an architectural discourse within the community of architects. One architect-educationist[ii] called it, “a theory is where a theorist break boundary of exploring the multitude of means to draw a circle”, and such can only be achieved on a level of philosophical contemplation. Practice – Architectural practice is profession governed by an Act of Parliament, sanctioned by the governing body, called the board of architect, to allow a fully qualified and competent person to practice the art and science of architecture. The same architect-educationist called it, “a practice is where a practitioner follow a constraint set of law to draw the same circle, again and again, to perfection, without exploring any other possibilities of drawing a circle”, and such is the level of competency required of an architectural practitioner. To bridge the dichotomy between theory and practice, a common ground is the philosophical discourse of who the architect is and why it exists, both ought to be understood and there is no better fora consequential then the philosophy of existentialism. [i] Definition of Architecture Theory, read http://en.wikipedia.org/wiki/Architectural_theory accessed 25 Jan 2019. [ii] To quote Dato' Prof Parid Wardi bin Sudin, in an occasion where the author received his best student award from the PAM Education Fund, where Parid Wardi was the President of PAM at that time. In model of existentialism – ‘I think, therefore I am[i]’and ‘what roles am I to play and serve?’ and these are all the questions molding the understanding of – who is the architect, taking a piece from the subject of Jungian psychoanalysis[ii] determination into the idea of the Ego, Persona and the Self. 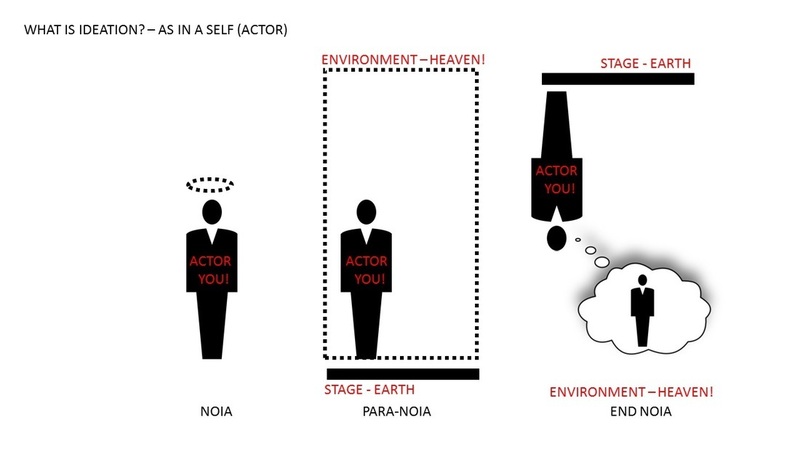 Noia – the human existent at a metaphysical[iii] level, could be distinctive analyzed as the self and its persona, collectively called the ego. The persona is the reflection of the self. For example, the self looks at the mirror and the mirror image is the persona. The persona is constructed through time, through a series of space-time experiences. This experiences through space-time is what probably known as a study of phenomenology[iv]. Where the metaphysical distance between the self and the persona is absent, this condition of the human being is called Noia. At time, it is referred to as the ideal person, the enlightened person or the personification of a perfect being. Noia is the self being at the present. In the absent of the metaphysical distance, time is solidify as at the moment, a phenomenon of mindfulness where transmission of knowledge is seamless, without any need of a medium of communication. No language, therefore no structure and syntax therefore no reason for any construction of idea or its de/re-construction. The being simply know. This is the highest form of self-actualization[v]. End Noia – this human existent at a metaphysical level where the self and the persona has been displaced so significantly that the self no longer understand its persona. The self may at this point, takes multiple personas, also known as a spectrum of schizophrenia[vi]. Michel Foucault[vii] attempted to analyze this influence from both the perspective of Marx and Heidegger, covering a wide range of subject matter from the reflex psychology of Pavlov to the classic psychoanalysis of Freud, in explaining the subject of end-noia. At time, it is referred to as madness, a crazy and disturbed individual. Paranoia – this human existence is very common. There is a metaphysical displacement of the self and the persona also known as the paranoid psychosis. It is a state of mind that there must exist a medium of transference of knowledge between the self and the persona. The ability for the self to understand the persona vested upon the degree of which the self could intuitionally absorb such knowledges. Thus, arise the notion of you versus me, the study of proximities and defensible spaces[viii]. The paranoid psychosis further leads to form race, caste, social stratum, political divides and so forth. It became the foundation stone of a nation and to a certain extent a civilization. It is a yardstick to measure wealth and its distribution, a forerunner of development in placed of proletarian and the bourgeoisie, the economic fractions. The transference of knowledge between the self and the persona warrants scale, structure and system. The paranoid mind could not comprehend things at one go. 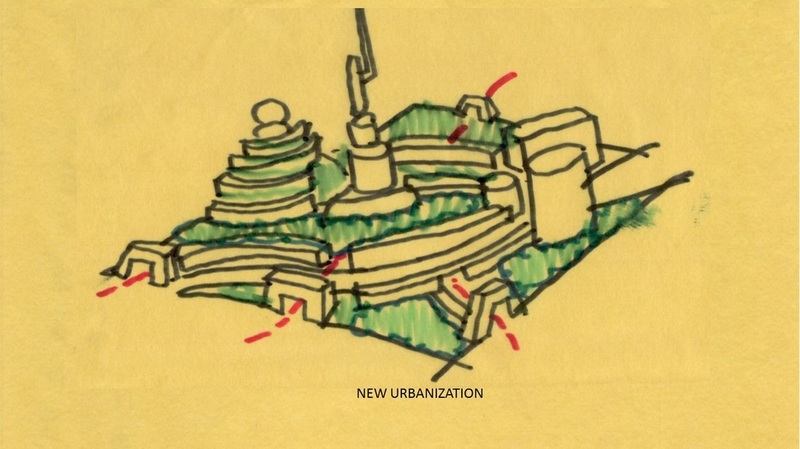 It needs to be minced to an appropriate scale, for example artifacts, building and urban. Scale applied in linguistic, as a medium of communication are called, phonology, morphology and syntax. These are later known as structure. With structure one is able to reconstruct or deconstruct, thus a philosophical discourse is generated with the – ism. [iii] A branch of philosophy that examines the fundamental nature of reality, including the relationship between mind and matter, between substance and attribute, and between possibility and actuality, definition according to American Heritage Dictionary of the English Language (5th ed.). 2011. Retrieved November 24, 2018. [iv] Georg Wilhelm Friedrich Hegel. “Phenomenology of Mind” translated by J. B. Baillie (1910); Macmillan Co. NY. [vi] A chronic and severe mental disorder that affects how a person thinks, feels, and behaves. People with schizophrenia may seem like they have lost touch with reality as defined by www.nimh.nih.gov/health/topics/schizophrenia/index.shtml, accessed on 25 Jan 2019. [vii] Paul-Michel Foucault. “Madness and Civilization: A History of Insanity in the Age of Reason” (1965), Vintage Book NY. Noia is defined as the self with an undifferentiated ego. Enlightenment is the best way to prescribed Noia. Paranoia or paranoid is a state where there is a differentiation between the self and its ego. The normal person would like to project himself as someone with an identity such as male/female, race, religions, rich/poor, weak/strong and so forth. These are paranoid mentalities. End noia is a total displacement of the self and the ego. Spectrum of schizophrenia may be a better choice of word. 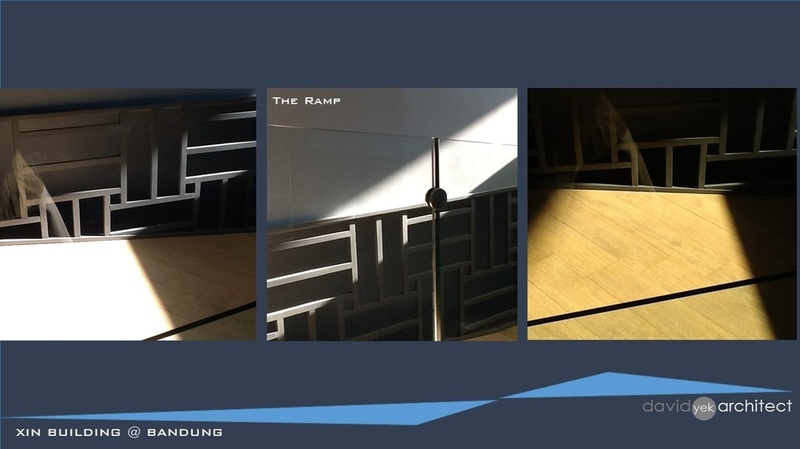 Dialogue – Is a process where the architect and the client stimulates the design Intent by posing the fundamental design problems, hereinafter called the Actor. Such act of questions and answers spur dialogue. Such dialogue is fundamentally a subject of philosophy. Embarking on this question of philosophy leads to the contemplation of the self as a designer, owner, policy makers and so forth. By crystalizing such Intent and communicating it, the Actor acts upon it. As a result, dialogue leads to do. Collectively, the underlying Production Model where the 3Ds modus-operandi of Dialogue-Do-Documents or Actor-Act-Product prevailed and this section is to present the findings employing the modus-operandi of Dialogue-Do-Document (3Ds). In short IDEATION is a model of production, where production is a process of combining various material inputs and immaterial inputs (plans, know-how) in order to make something for consumption (the output). When we look at IDEATION as a MODEL, It has to make up of 3 entities, resembles of an act would be the Actor, the Play and the Stage. The Actor would probably be a living person. He must have some intention either to create or to produce. To do so, he must learn the art and the law of creation or production. This is known as the “know how” or the PLAY. He must also find a platform to do so such is called a STAGE. Like a builder must find an Architect for his IDEA to build and a SITE for the building to sit on. Like an artist, he must have a canvas to draw. The product of an act by the actor is call the PRODUCT. It can be a built form or just as an idea. Such product will again be a subject for another ideation. This is summarized as intention – implementation – product, the 3 aspects of IDEATION. For a paranoid self, we are GOD fearful. We are afraid to commit SIN. This draw a form of self-censorship we call conscience. We acknowledge there are ALMIGHTY living somewhere in Heaven above. His law is our code of morality inscribed in our conscience that defines our intention which ultimately translate into our action. It is very subjective no doubt, but such action required it to be executed none other than on a specific place, called the stage. As above, so below and Heaven bestowed upon us Earth as out stage. Classical man called this Heaven Man Earth – Trinity. Modern man call this Opportunity – Timing and Action. All things are but a product of IDEATION. Every piece of furniture ranging from sofa to the electronic appliances are the manifestation of the human persona. It is what make us human. These artifacts are the records of our civilization. It is a piece of History. I attempt to discuss the theory of design with the principle of Chinese Metaphysics that I believed in. A Building is a tectonic with interior space. Otherwise, it is just another street furniture. That is my definition. I intent to look at architecture as Metaphysics + Architecture = Metachitecture. It is neither Chinese Architecture nor Modern Architecture. It is a blend of Chinese Metaphysics applied to Modern Architecture. An urban context is a settlement of human habitation. Otherwise it is collectively a composition of architecture in a streetscape including physical planning, zoning and urban design. I intent to look at how Chinese space planning with regard to form and land form Geomancy are applied to the theory of place making.